For early humans, fire provided warmth, protection and an opportunity to socialize. 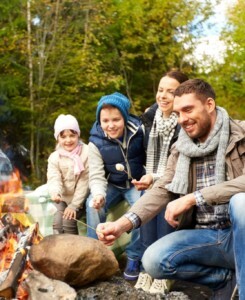 Campfires brought people together and created opportunities for cultural development. Fast-forward to the present day, and people have lost that sense of community and social behavior. According to Fortune, the amount of people describing themselves as lonely has doubled over the past several decades. Many factors such as technology and more demanding work hours all contribute to more isolation between people despite living in a world that is more technologically connected than ever. According to the Huffington Post, unplugging from gadgets and going camping can help improve sleep, mood, and inspire creativity. It can create connections. It sounds like the early human ancestors had it right. Signup for our Newsletter and other promotional offers!